Do you sell products in bulk or to retailers? When the WooCommerce Wholesale Price module is enabled, you can set minimum quantities and discount pricing on multiple products sold through your WooCommerce store when a customer adds them to their cart (buy more, pay less). You can set wholesale pricing for all products, or select products only. 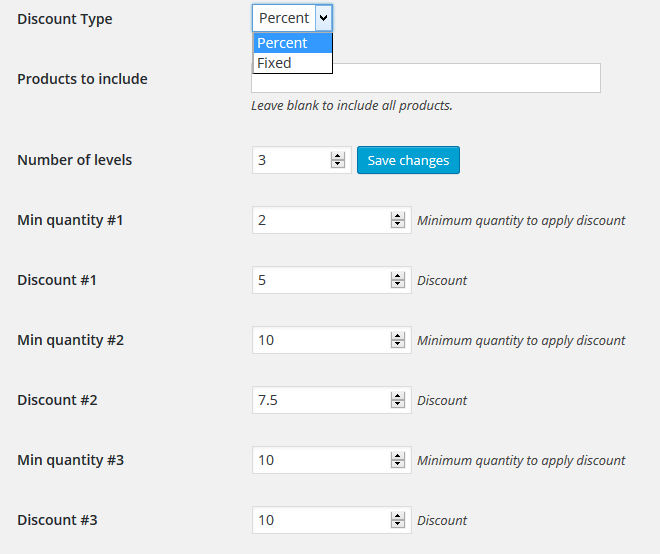 Select the option to display the discounted price table on each product’s page (optional) and save changes. Show or hide the discount information on the cart page. 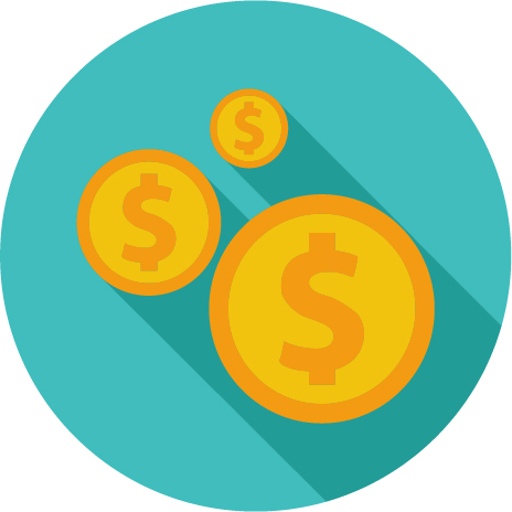 Set multiple discount levels, so the more products your customers buy, the more they save! Quickly and easily set the minimum quantity and the discount for each level. Example: Three wholesale levels, with discounts for: 2 pcs (5% discount), 5 pcs (7.5% discount), 10 pcs+ (10% discount). Display a wholesale pricing table on the front end of your website for customers to see by using the [wcj_product_wholesale_price_table] shortcode. Is it possible to set wholesale per product? per product & variable product. Great plugin, thanks for the excellent job! Would it be possible to grant the wholesale discount percentage to individual customers, who are given a ‘wholesale customer’ status in the users section? This would really enhance the function of the wholesale option in your plugin. I also sent an email to support@booster.io, but also commenting here. I bought the pro plugin so that I could use the Wholesale pricing and User Role pricing; however, once installed I see an issue of you can use each individually but not together. In my situation, I am creating a website that sells tile. There are homeowners who get the front end display, industry customers (contractors) who get a discount, and get more of a discount if buying more. There are also dealer stores who get a greater discount than industry, and a greater discount when buying in bulk. Is there an easy way to make these two features work together? I need to set quantities for both industry and dealer. Thank you. Can i have wholesale pricing for grouped product? I didn’t find that string on my Loco Translate plugin. Hi there, have you managed to find a solution for this? I needed this for only one product, so i copy – pasted the table to the WYSIWYG editor and edited the text. Same here. Did you find a solution for it? Hey! I’m curious to know if wholesale pricing can be assigned to only certain user roles. Great post, which makes setting up wholesale pricing nice and simple. I have been researching this for a while, for some clients of mine, and also come across this extremely detailed guide on setting up a wholesale store: https://barn2.co.uk/woocommerce-wholesale-plugin/. Many other articles and guides are missing some major functionality that wholesale stores need – for example, the ability to create a hidden wholesale-only area and wholesale-friendly layouts. This guide helps get around these issues, so I am sure your readers will find it useful too. Interested to hear your thoughts. Thanks, Michael. Is it possible to add a TOTAL SAVED in the Cart under the Totals column? is it possible that choose specific costumers to get the discount? I sell to end users, but some products is my own and those i sell with discount to other shops as well. Is it possible to set discounts on particular variable products. In ‘products to exclude’ dropdown you can only choose the product as a whole not it’s variable options. All my products have variable options and only 2 of the options need discounted pricing per quantity in checkout. The variable options have ID numbers so wondering if this can be used. So commented here again: Trying excluded products from the ‘WholeSale Price’ module, but this doesn’t work! I hope there follow a fast answer now, my client is waiting for feedback! It is possible to display minimum price (or maximum discounted price) on the catalogue grid page? F.ex. “Bananas – from $3” if we have some levels of discount and the minimum price is $3. We have Booster Pro. The WooCommerce wholesale pricing module was working really well to give discounts on quantities in cart of products I included. Now it’s not working and including every product even though those products aren’t in the ‘include’ list. Only 100g soaps should be included. do you have this issue after latest update? If yes, please contact us on support@booster.io for further support. We have latest version of Booster Pro – have resent this message to support. Is it possible to apply WP to product categories / category ? I’ve got many products which needs to be added and doing it manually one by one is not a solution for me. I think I have found a potential bug in Wholesale Price Module. The problem appears with the product addons. As a result, the discounted price is higher than without the discount, the module ads the cost of all addons again to the discounted price. The WooCommerce wholesale pricing module is working really well to give discounts on quantities in cart of products with wholesale prices by product. Sometimes we receive order updates by phone to the orders placed on our site and we need to edit product quantities or add new products on behalf of the client on the admin pane on woocomcerce/orders and edit the quantity. We have the free version, I wonder if the Pro version supports adding products on the admin pane during edition of the order and the wholesale functionality would work just as adding it to the cart. When I set minimum quantities the discount only works if the minimum is met in each variation, ie you can’t choose different sizes to to make up the minimum. We have added your suggestion to our to-do list. Do you have a rough time frame? I haven’t checked the template files yet, but could it be that the output of the wholesale pricing table doesn’t contain translateable strings? I use Loco Translate for translation, but for example the string ‘from %s pcs.’ doesn’t turn up.